One of the most interesting and well, delectable ways to experience the culture of a place is through its cuisine. Whether it's the subtlety of flavours or the harmony of textures, discovering the food of a particular country can be an amazing journey in its own right. And if your next travel destination is indeed the sublime beauty of Vietnam, prepare for a humble display of fresh ingredients and delicate flavours. What's more, different parts of the country offer significantly different preparations made from virtually the same ingredients, giving us a wide variety of exotic Vietnamese food as we travel from the north to the south. 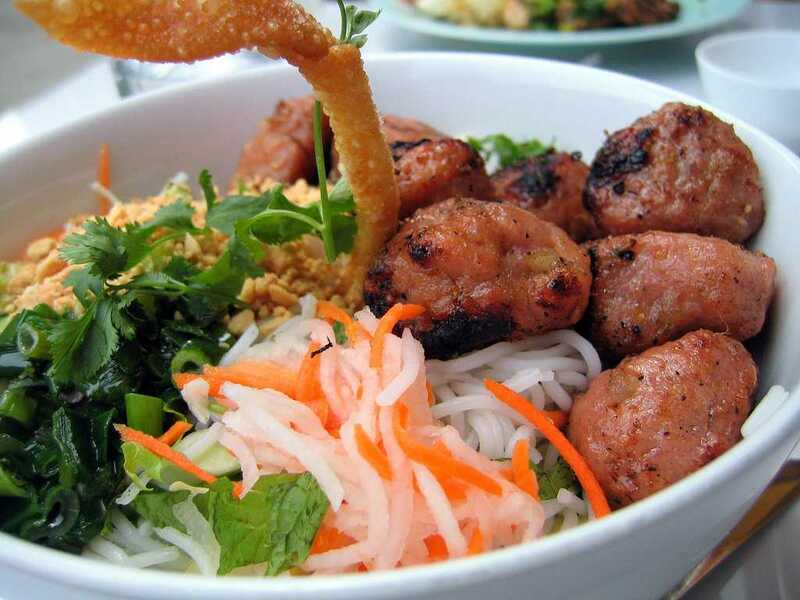 Here is a comprehensive breakdown of where to find some of the best Vietnamese cuisine in this Southeast Asian wonderland. Vietnamese cuisine's Chinese roots find a worthy illustration in the food of Northern Vietnam, and Banh Cuon is a worthy example of the same. It is a scrumptious roll made from rice flour with a hearty filling of pork, mushrooms and shrimp topped with some crunchy onions. A side of sprouts, cucumber, fresh herbs and dipping sauce also accompanies this mind blowing course. A combination of sliced pork, vermicelli noodles, fresh garden herbs and fish sauce makes up for the appetising meal that Bun Cha is. 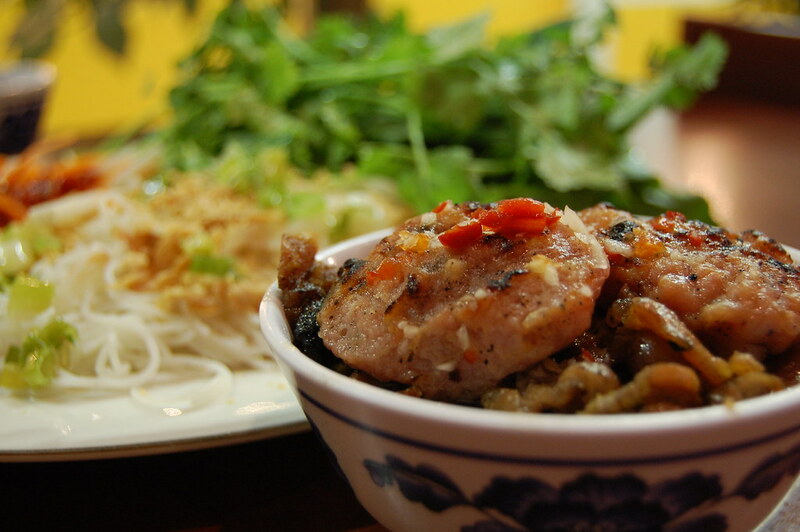 This humble dish is a favourite dish from the streets of Vietnam, is popular among tourists and locals alike. Much like the delicious Banh Cuon, Bun Cha is a treat from Northern Vietnam, serving as an excellent blend of noodles, fish sauce and chillies. 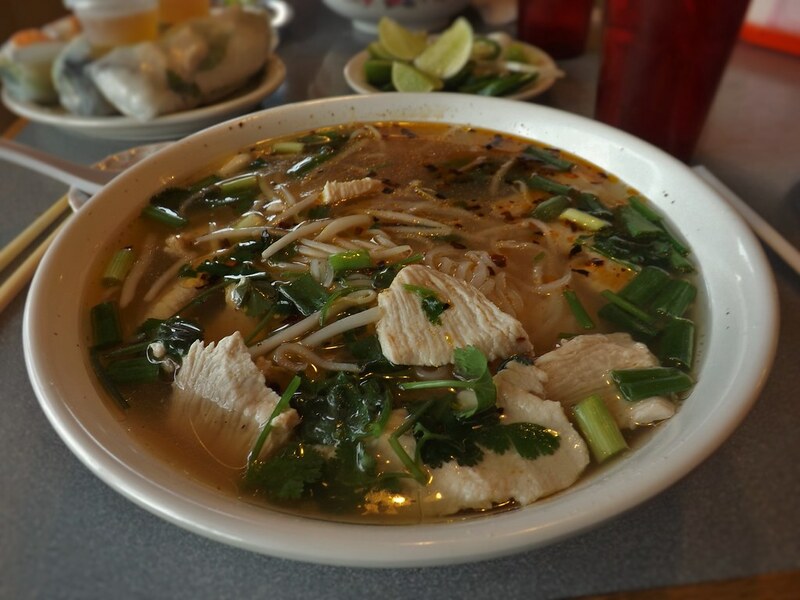 Another grand contribution of northern Vietnam to the wonderful Vietnamese cuisine is its Pho, which is perhaps one of the most widely eaten dishes throughout the country. Pho Bo is a broth preparation that uses beef as its main protein, and the broth itself is wonderfully flavoured with beef bones, shallots, ginger, fish sauce and aromatics. The other version of Pho is prepared with chicken and is called Pho Ga. The broth for this dish is prepared with basil, saw grass, bean sprouts, scallions, cilantro, chilli and of course, chicken. Xoi is a type of sticky rice, which can be both sweet and savoury. It is a countrywide staple, and while the savoury version is eaten as a main course, the sweet variation is also served as a dessert. Simple and delicious, it is a popular Vietnamese street food dish and worth a try. Bun Bo Nam Bo is a symphony of textures right in your mouth and is prepared with vermicelli noodles, peanuts, bean sprouts, fried shallots and chilli peppers. This is one of the few Vietnamese dishes in which the signature broth doesn't make an appearance. It is often served with pickled vegetables, which gives it a tangy flavour. Moving towards the central part of the country, we see a generous use of chilli, which beautifully complements the balance of flavours here. A great example of the food of Central Vietnam is the savoury Banh Khoai crepes, which are stuffed with shrimp, pork, egg and bean sprouts. Rice flour is the main ingredient used in the preparation of this delight, with herbs and lettuce giving it a refreshing twist. It is often served with a soybean-based sauce on the side. 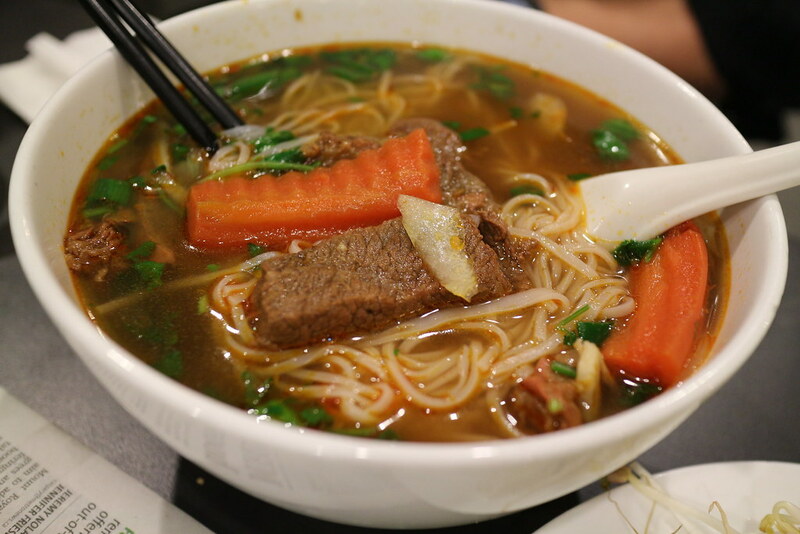 A prominent dish of Cental Vietnam, Bun Bo Hue is a super spicy pork-and-beef based broth which also has a portion of noodles in it. Lemongrass, herbs and lip-smacking shrimp sauce give it a marvellous depth of flavour. This dish is a regal affair indeed and was a regular feature in the kitchens of Hue's Nguyen Dynasty. Com Hen is another delicious Vietnamese rice based preparation, served in a broth of fresh and lightly flavoured clams. This incredible dish is garnished with a host of crispy bits like rice crackers, crispy pork, crackling, peanuts and sesame seeds, which gives this dish another dimension in terms of textures. You will find various versions of this dish in central Vietnam, where it is has become a staple part of the region's food culture. Illustrating the fresh garden produce used in Southern Vietnamese Cuisine, the Canh Chua Ca is another take on the tradition of broth dishes. This dish is a fish soup leaning toward the sweeter side, and ingredients such as pineapple, tomatoes, bean sprouts and tamarind are used to flavour the same. The dish is topped off with some golden fried garlic, which is both a visual and tasteful treat. If sandwiches are your thing, then you should give this dish a try. 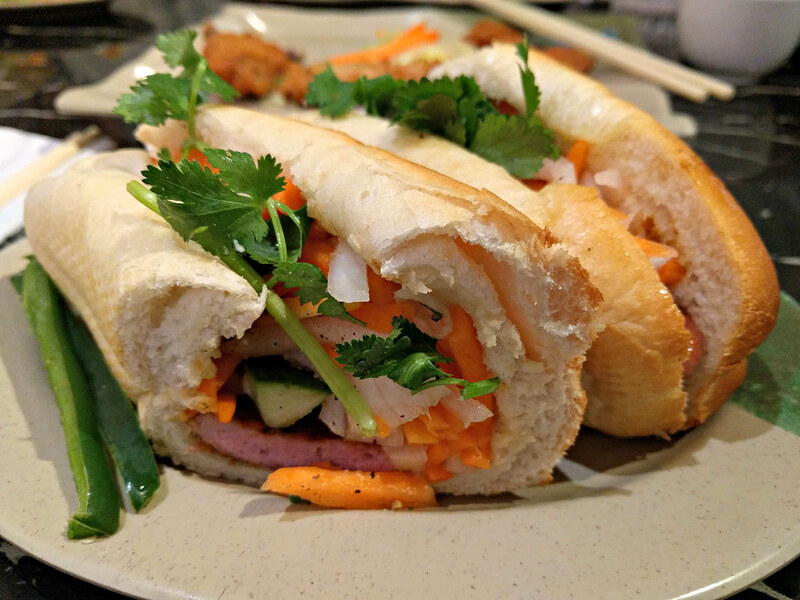 Tilting towards the French-Chinese heritage, this sandwich is prepared with baguette-like bread filled with mixed ground meat, cilantro and some good old vegetables. The contrast of crunchy vegetables and juicy meat makes it a hearty treat for one and all, an integral part of Vietnamese cuisine. Fulfil your food dreams with the amazing Banh Xao crepes, which will keep you full for a good few hours. 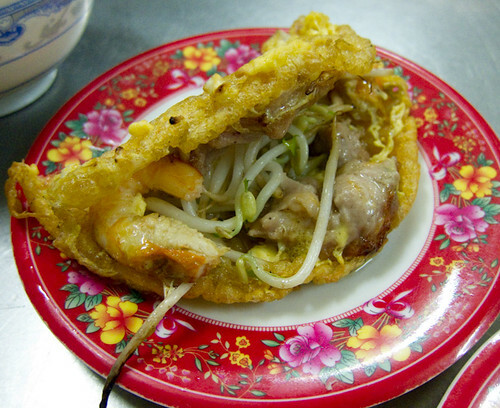 A dish from Southern Vietnam, this amazing dish is prepared by pouring rice batter into a skillet to obtain a fluffy, savoury pancake, which is then generously stuffed with pork, shrimp and sprouts. In complete contrast to its Indian counterpart which is deep-fried, the spring rolls of Vietnam or Goi Cuon are boiled parcels of deliciousness filled with greens, meat or seafood and coriander. This preparation is extremely fresh and makes up for a great evening time snack. 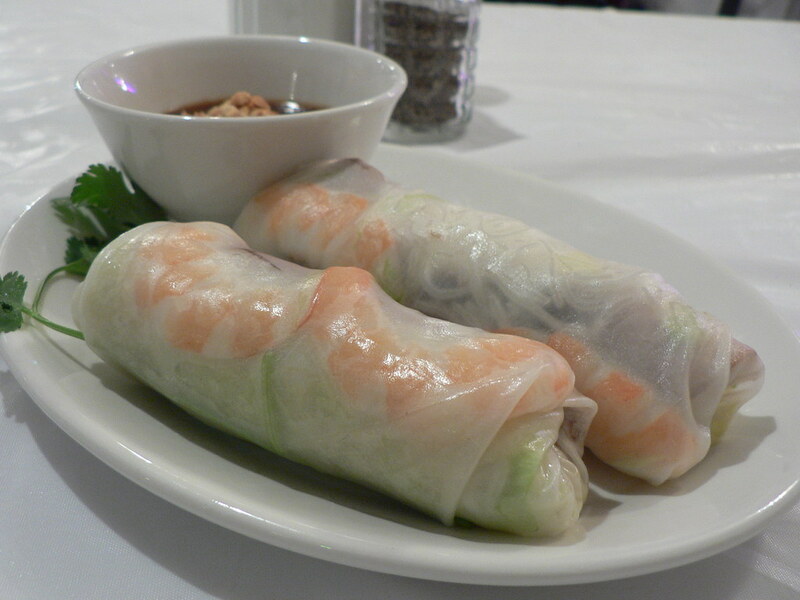 This delicious Vietnamese dish can be found all across the country, with various regional variations. Bot Chien is yet another delicious snack which is prepared with rice flour dough and eggs and is served with papayas, shallots and spring onions. It is a popular street food dish and is quite easily available in most parts of the country, most commonly seen as a Southern Vietnamese snack. This crispy and gooey delight is a popular Vietnamese street food dish and rightly so. It is prepared with boiled potatoes mixed with cheese, spring onion and a couple of spices and is then deep fried until it is crispy golden. This dish is most often served with a fish sauce which perfectly complements the cakes. If you are a lover of all things sweet, well there is an entire variety of sweet dish combinations in Vietnam that are waiting for you. 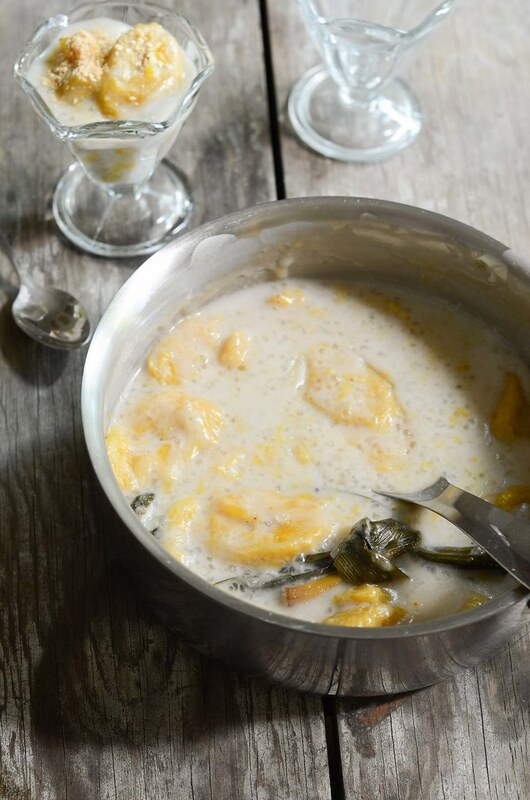 Starting with the incredible Che Chuoi which is a sweet soup prepared with coconut milk, sago pearls and banana, which is a pudding like a delicacy. Humble in its preparation and comforting in its taste, this is the go to dessert for one and all. 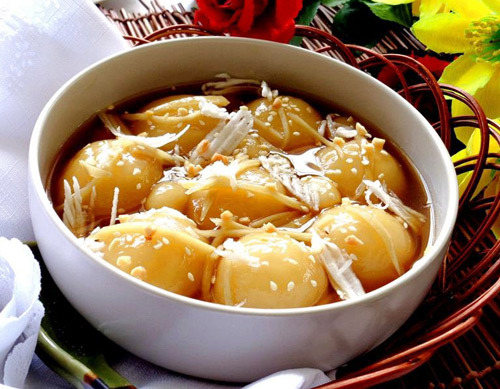 Combining the goodness of dumplings and gooeyness of sweet syrup is Che Troi nuoc, which is a golden dessert dumpling filled with mung bean paste and cooked in sweet ginger syrup. Literally translating to 'dessert wading in water', this Vietnamese Dessert is popular served during the Lunar New Year. 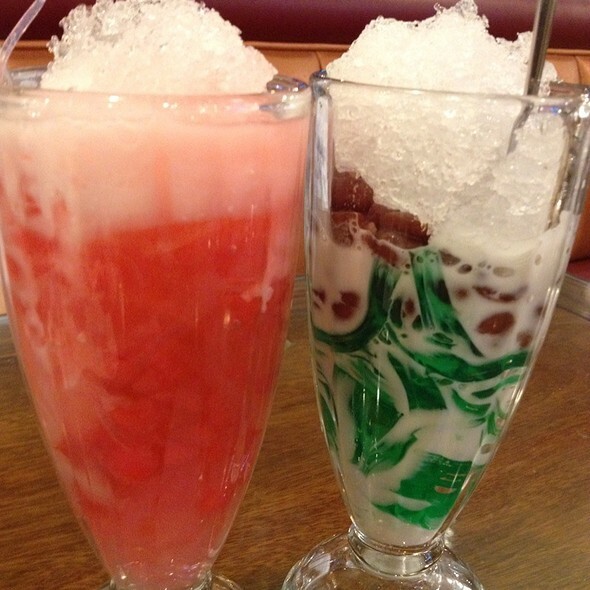 A treat to the eyes as it is to the palate, Che Ba Mau is a tri colour dessert drink that is especially popular among the children of Vietnam. It is prepared with home made coloured jelly, mung bean paste and sweet kidney beans. A vivid illustration of kaleidoscopic summertime, this dessert will have you asking for seconds. A traditional Vietnamese dessert made of corn pudding goes by the name Che Bap, a regular feature in most Vietnamese households. It is prepared using sweet corn kernels, tapioca pearls and creamy coconut milk, and can be served both hot and cold. Pandan leaves give it a deliciously sweet aroma and makes the experience of this dessert an olfactory treat. Go ahead and dig into this Vietnamese comfort food, you surely will fall in love with its charming simplicity. Carrying on the tradition of sweet soups is Che Ba Ba, which is a preparation of taro, cassava and long sweet potato, well cooked in coconut milk topped with tapioca pearls. Marrying various exquisite flavours of the south, this dish is the perfect example of Vietnamese cuisine. An interesting way in which rice is consumed here is through its delicious rice wine, which is made from either glutinous or non-glutinous rice. Like any other, rice wine too, comes in various forms. Most of the Ruou De rice wine is prepared in home-based breweries, where yeast is added to cooked rice and is allowed to ferment. The broth so obtained is distilled to get the final product. However, the consumption of Ruou De has some serious implications and may cause blindness and even death. A much better option would be Ruou Can, which is a kind of party wine and is prepared without distillation. It comes in a huge variety of flavours like coffee, honey, chocolate, anise, cloves and cinnamon. Ruou Thuoc or 'medicinal wine' comes in more than a hundred variants and is available for treating various ailments, ranging from back problems to enhanced blood circulation. Tying old tradition and deliciousness together, sticky rice wine is a must try. Vietnam is the world's largest producer of Robusta, which is quite a strong variant of coffee. However, Vietnam knows how to make the best of the resources at hand, and the coffee preparations here are some of the most delicious ones you'll taste in a long, long time. Coffee was introduced to Vietnam in the 19th century by the French, who observed that the hilly regions of Vietnam had the perfect weather for this plantation. However, good quality milk was quite difficult to come by. Condensed milk and some ice cubes came to the rescue and thus was born the delicious iced coffee which is one of the most popular beverages here. 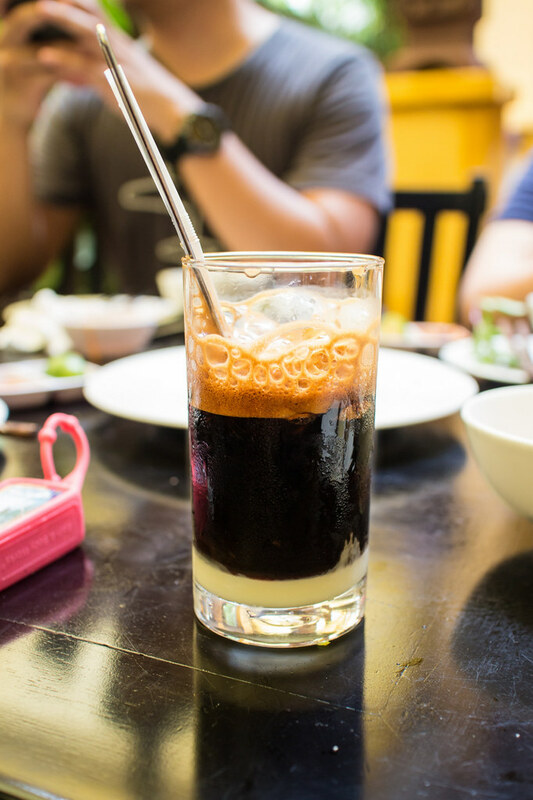 It is impossible to miss out on a cup of delicious Vietnamese Coffee as you will find some in shops and stalls at every nook and corner of Vietnam, and is highly recommended too! In addition to these local favourites, if you're feeling a bit too adventurous, you can also try some of the more exotic foods here like crispy fried crickets, giant water bugs, tarantulas, scorpions, bee larvae and silkworms, which are local snacking options. Much like the French, Vietnamese food culture also has a few frog based dishes, but instead of eating the legs alone, the whole animal is consumed here. Fertilised duck eggs are a popular side as well. Dishes based on snakes, snails, field rats and duck tongues also find a place in various villages and cities of Vietnam. No matter what you decide to gorge on, one thing is assured- flavoursome delicacies await you! Bon appétit!